Unlike other personal injury claims, most medical malpractice cases do proceed to trial. These are the most expensive, complex cases to handle. Local physicians routinely come to the rescue of their fellow doctors and testify on their behalf. They will rarely testify against them. Therefore, successful Chicago medical malpractice attorneys often must secure expert medical malpractice witnesses from other states. 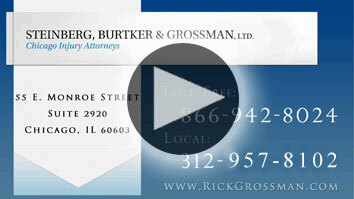 is a law firm made up of experienced medical malpractice attorneys in Chicago. Our trial lawyers understand that getting maximum compensation for medical malpractice victims requires us to take the battle into the courtroom. From our years of practice in personal injury and medical malpractice law we know where to find the medical experts needed to prove medical negligence, securing them from teaching hospitals throughout the United States. For more than 40 years, we've been fighting to get results for the victims of doctor negligence, hospital malpractice and nursing home negligence. You can be confident that we will strive to provide positive results for you. The first step in bringing any medical malpractice claim to court is obtaining a certificate of merit. A certificate of merit is a document from an expert in the medical field that the claim pertains to. This expert must certify that there is merit to the claim, that the medical professional being blamed for harming the victim actually failed to adhere to the standards of care required to keep patients safe. Our Chicago medical malpractice lawyers work with a network of experts to ensure that we are able to get a certificate of merit in a timely manner so we can move forward with filing the medical malpractice claim. To learn more about our successful medical malpractice case results, visit our Representative Cases page. We have the resources to invest in your case. We will not ask you for any payment unless we are successful in getting you compensation in your doctor or hospital negligence case. Tell us about your medical malpractice case. Our Chicago hospital malpractice lawyers will tell you how we can help. Contact us toll free at (312) 401-4445 for a free consultation.